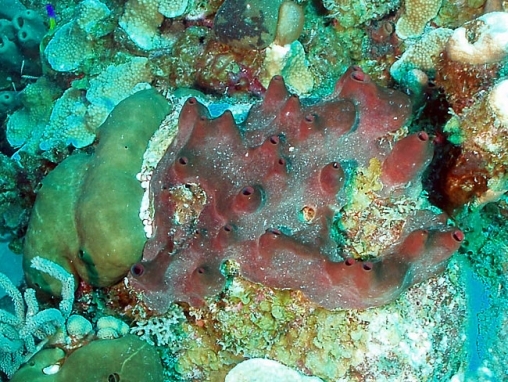 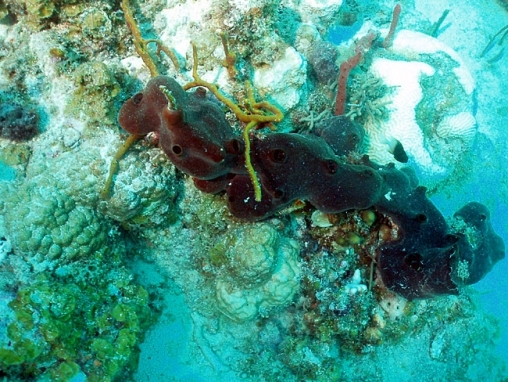 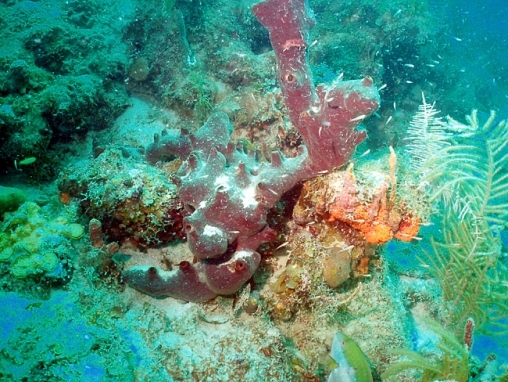 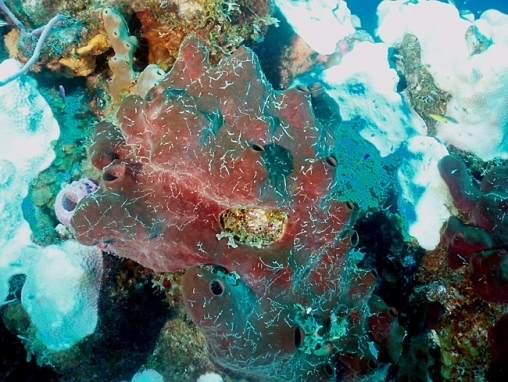 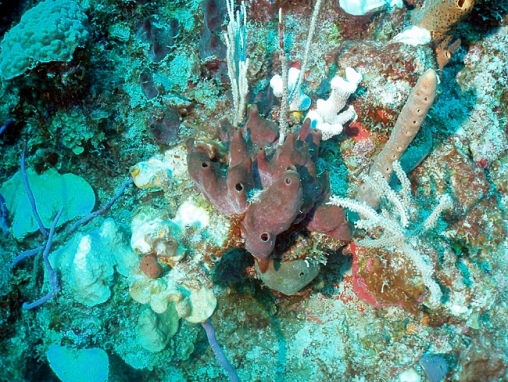 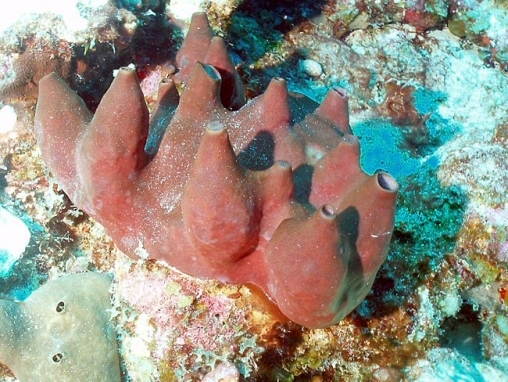 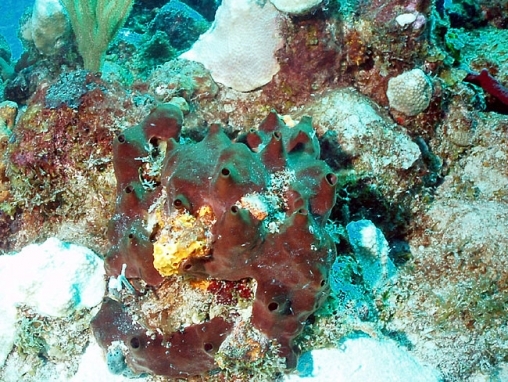 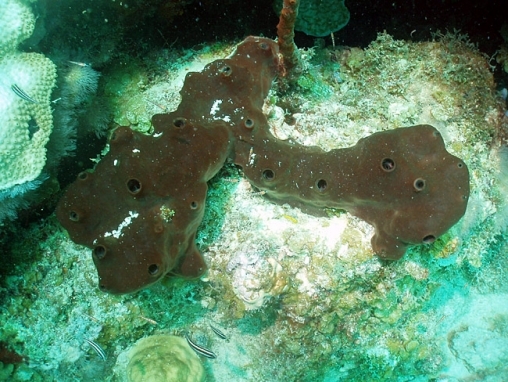 This sponge has a smooth surface, black to dark purple or reddish in colour. 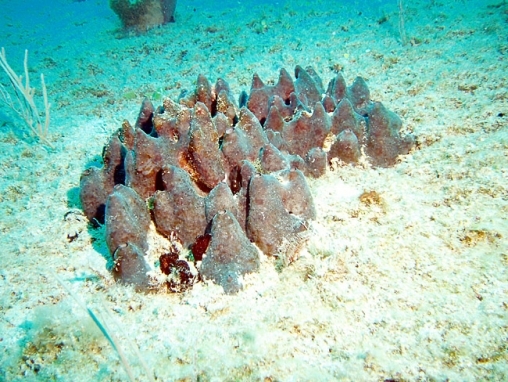 It consists of clumps of amphora-shaped units, sometimes tending to tubular, but usually with very tapered or conical apertures. 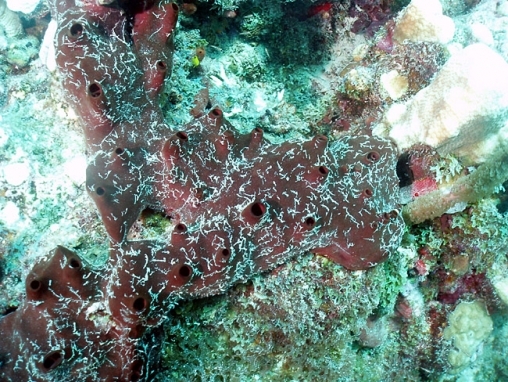 Occasionally apertures are nearly flush with the surface. 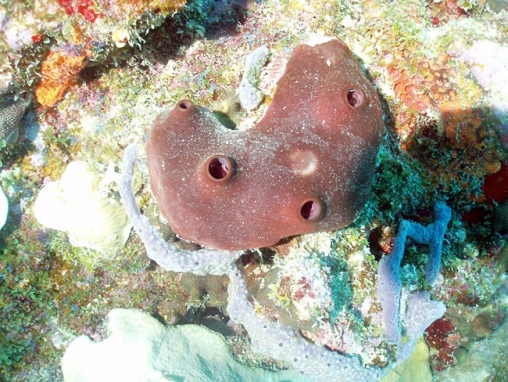 Although colonies are usually clumped, there may be a tendency for ramose extensions to develop. 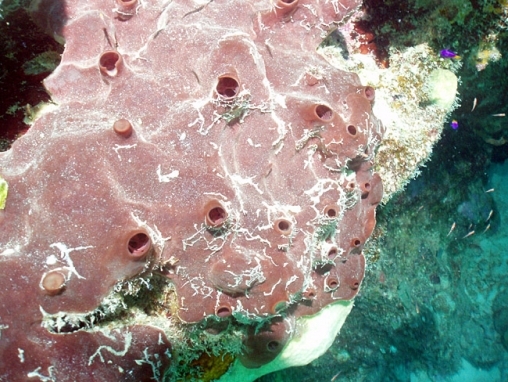 Sometimes covered with epifauna.